Today we will lead you to a new world, the kingdom of Yahoo.com. It is of the most important players in the history of the Internet and possibly the largest existing portal which is inspired by the story of two young entrepreneurs. In the spring of 1994, Jim Clark and Marc Andreessen founded Mosaic Communications. At that time Jerry Yang and David Filo have just graduated students who were looking for a job. In a busy office, located at the campus of Stanford University and not far from the laboratories where Sun Microsystems, Cisco, and Silicon Graphics had once started to create a history, Yang and Filo used to spend their afternoons devoted to surfing on the Web. Filo was the one who discovered the existence of the Mosaic browser shortly after it had appeared on the Web. They were both attracted by the new browser. In order to keep track of all the visited pages by topic, they made their ‘Jerry’s fast track to Mosaic’. It was divided into topics such as News, Health, Science, Arts, Recreation, Business, and Economics. Simply a consumer service, nothing more than an exhaustive index to all who had the direction of Yang and Filo’s Guide in Stanford’s computer network. It was mostly text, devoid of flashy graphics and flashing icons. He was armed by hand, included searches of Web pages that otherwise had time to locate. The Mosaic browser, created by Andreessen and his friends from Illinois, was the product of a fine technology and ultimate design features. According to many writers who focus their books on the history of the Silicon Valley and thriving companies, including the present web hero, Yang and Filo created the expanded directory, because they were surprised by the fact that nobody had ever thought of compiling the information. ‘Jerry’s fast track to Mosaic’ became a well-known name such as Wal-Mart and the subsequent replacements were not much better, “Jerry Yang’s Guide to the WWW” and “Jerry and Dave’s Guide to the World Wide Web “. Yang and Filo decided to substitute all of them with something more suitable for humans’ perceptions. Yahoo! – this is undoubtedly a word that conveys such a meaning. This is how today’s most famous web directory has been created. Both Yang and Filo received a lucrative offer from a group of investors who were willing to give one million dollars for Yahoo!, but they rejected the proposal because they were sure that they would go further and establish a proper business model. This turned out to be one of the wisest decisions they had made and Yahoo would become one of the most successful companies in the field of technology in the next few years. Later other directories appeared on the Internet: Lycos, Infoseek, Architext, WebCrawler, some of which were more suitable for certain searches, but none of them managed to reach the number of followers of Yahoo. Yahoo’s traffic surpassed the 100,000 “hits” per day in the late 1994 and they started only with several thousand per day at the start of the official launch of the site. Yang and Filo could safely say they created more activity on the Web than anyone else in the world and this was done with zero marketing. As it usually happens with successful companies and brilliant ideas, what began as a hobby transformed quickly into a concern. 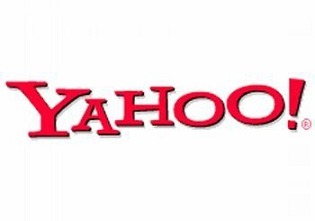 In the spring of 1995, Sequoia Capital, a venture capital company invested in Yahoo! 2 million dollars for 25% stake in the company. According to these numbers, Yahoo was worth $ 8 million. This proved to be the best deal in the history of Silicon Valley in these times. After Yahoo! began trading on the stock market, the value of a million dollars became almost $ 8000 million in early 1999. Millions can become billions only in the magic ambiance of the Valley. Yahoo! gradually promoted the brand. Many US citizens still did not know about the company and this provoked Yang and Filo to invest $ 5 million in advertising and marketing campaigns. It was normal for one to see at the football stadium: “Do you Yahoo?” or “You Yahooiza?”. Welcome once again to the “always the same story in Silicon Valley”, because once again as always in the Valley, a company, established by graduate students is a result of something “accidentally” or “without thinking of the future” and ends with a business for billions of dollars. This is what we call to be at the right time, doing the right thing. Do you believe in miracles? Start fulfilling your projects right now and, who knows, the next successful history in high tech might be yours! Today Yahoo! Inc. is a public company and its shares are traded on the New York Stock Exchange. This means that anyone can buy a part of this great enterprise, which is cool, isn’t it? Currently, the price of one share is around $16 and this means that the whole company is worth around $20 billion. Yahoo is one of the most popular Internet media in the world providing many valuable free and paid services like yahoo mail, yahoo finance, yahoo messenger, yahoo weather and many others. More than 350 million different people use Yahoo’s sites every month.